Russell Simmons has had the Midas touch with nearly everything he's encountered. The media mogul and CEO of Rush Communications has worked with such artists as Run DMC, LL Cool J, Ja Rule, and Jay Z, created and produced successful television programs (including HBO's "Def Comedy Jam") and has his own clothing line, called Phat Farm. Now Simmons hopes his golden touch will extend to The Great White Way as he opens "Russell Simmons Def Poetry Jam on Broadway." Simmons says "Def Poetry" is a presentation of performance-poetry inspired by world events. The Broadway performance features nine spoken-word artists and a DJ. The nine poets in Def Poetry Jam are all in their 20s and 30s and represent a wide diversity of backgrounds, including Staceyann Chin, a New Yorker from Jamaica; Poetri, a playwright who also combines poetry and rap; Mayda Del Valle, a Chicago native of Puerto Rican descent; Beau Sia, a Chinese American who grew up in Oklahoma City, Okla.; Black Ice, born Lamar Manson, is a poet from Philadelphia; Steve Coleman, a member of the 1998 National Poetry Slam; Suheri Hammad, a Palestinian-American hailing from Brooklyn, NY; Lemon, a poet from New York; and Tamica Harper, a poet from Atlanta, who also goes by the name of "Georgia Me." The music is provided by DJ Tendaji. During the '60s and '70s, spoken-word projects boosted social and political commentary by such poets as Sanchez and Amiri Baraka. They rhymed about everything from domestic violence to environmentalism. Spoken word is an art form that has come to life in the past decade. Young poets had come together to perform in poetry competitions, or slams, before a live audience. Simmons brought the performance to a larger audience with a televised Def Poetry Jam on the cable station HBO. Because "Def Poetry Jam" is more flexible than the typical Broadway performance, it can update its performance, such as when Run DMC's disc jockey, Jam Master Jay (Jason Mizell), was murdered on Oct. 30 as previews for "Def Poetry Jam" began. Within a day, Black Ice and Staceyann Chin collaborated on a poem about the shooting. Simmons, with the director Stan Lathan, are getting their theater education on the job. "Def Poetry" is Simmons' first effort to produce a show for Broadway. He started out managing the Queens hip-hop group Run DMC; his brother, Joey Simmons, is the rapper Run. 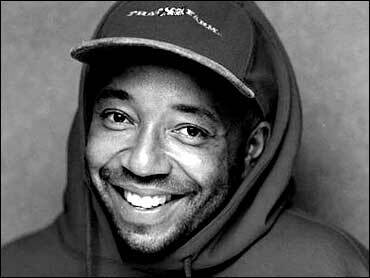 He started the Def Jam label, which put out albums by LL Cool J, Public Enemy and the Beastie Boys, and in the mid-1990s, he began producing "Russell Simmons's Def Comedy Jam" for HBO, giving national exposure to Martin Lawrence, Bernie Mac, Cedric the Entertainer and other African-American comics. Tickets for "Def Poetry Jam on Broadway" are priced from $25 to $65.